Gov. Rick Scott poses with Bill Talbert, right, of the Greater Miami Convention & Visitors Bureau, at a press conference Monday. Gov. Rick Scott continued Monday to criticize legislative budget-slashing of the state's tourism marketing as he announced a record-setting quarter of visitors to Florida. 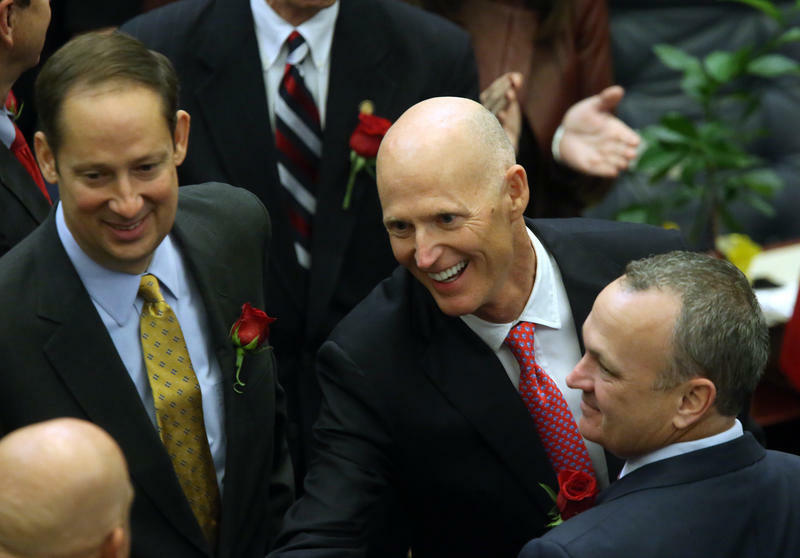 Still Scott hasn't indicated what he'll do with a new $82.4 billion state budget when it lands on his desk. "I’ve got a lot of options. I can veto the whole budget, I can veto a portion of the budget, a line of the budget, I can do special session, so I’m looking at all those options," Scott told reporters at a press conference at Miami's Jungle Island. Scott requested $100 million for the tourism-marketing agency Visit Florida, but lawmakers approved only $25 million. “In business, you would never stop marketing when you start to see great results,” Scott said in a prepared statement. “Instead of decimating funding to Visit Florida we should be investing in tourism marketing so we can continue to bring record visitors to our state." Florida drew 31.1 million visitors during the first three months of the year, the highest number during any quarter in state history, according to the governor's office. A year earlier, the state estimated 29.8 million visitors during the first three months. Florida's tourism numbers were bolstered by a 3.2 percent increase in domestic travelers from the first quarter of 2016. People from other U.S. states accounted for 27 million of Florida's visitors during the first three months of this year. Meanwhile, Florida attracted 2.2 percent fewer Canadians --- due in part to a weaker Canadian dollar --- in a comparison to the first three quarters of 2016, and overseas visitors dropped by 1.8 percent in the same time period. Both are trends that have been underway for more than a year. 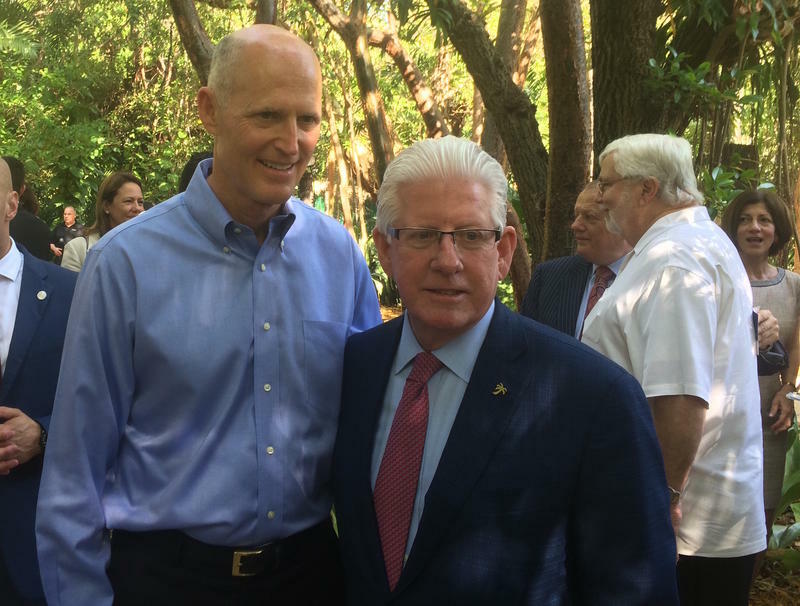 The tourists flocking to Florida during the winter and early spring came as Scott publicly clashed with House leaders over the future of the public-private agencies Visit Florida and Enterprise Florida, which handles the state's business-recruitment efforts. The budget does not include business-incentive money Scott sought for Enterprise Florida and substantially cuts the money for tourism marketing. Visit Florida, which has faced media scrutiny because of some controversial contracts, received $78 million for tourism marketing during the current fiscal year, which ends June 30. Visit Florida President and CEO Ken Lawson said in a release from the governor's office that, at the proposed funding level, his agency won't be able to compete for tourists against California and Texas. Scott attributes the growth in the number of tourists --- from 87.3 million in 2011 to nearly 113 million last year --- to a spike in state spending on marketing. Visit Florida received $35 million from the state in 2011, Scott's first year in office, as Florida was slowly recovering from the recession. House Speaker Richard Corcoran, a Republican from Land `O Lakes, contends people are driven to travel more by their personal finances than by state marketing. 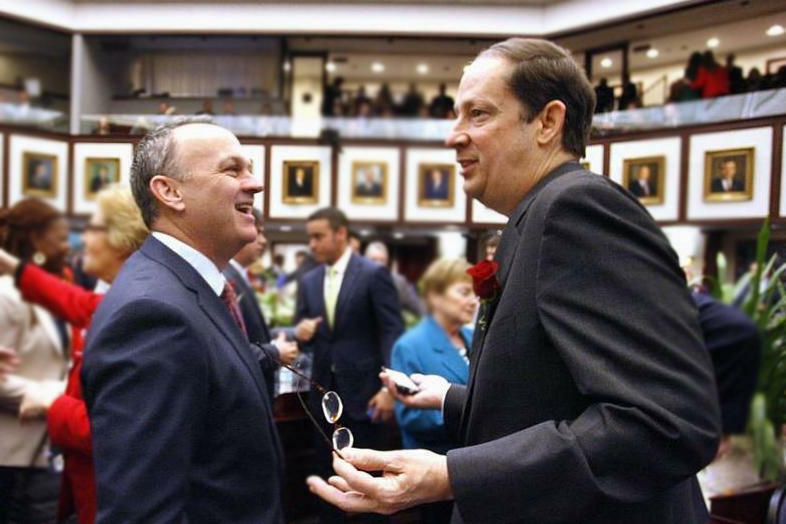 Corcoran and other members of the Legislature from both parties have also pounced on questionable spending and management operations the past couple of years at Visit Florida. The agency's marketing efforts have included $11.6 million to sponsor a cooking show hosted by celebrity chef Emeril Lagasse; $1 million to contract with rapper Pitbull as a state ambassador; $1.25 million this year to sponsor the London-based Fulham Football Club; and $2.9 million to sponsor an IMSA racing team. Also, Visit Florida has drawn fire in recent days because of a contract with a German advertising firm that included marketing Florida to travelers from Syria. The Naples Daily News, which first reported the contract information, said the contract was replaced with new paperwork that did not include Syria, which is on the U.S. Department of State list of state sponsors of terrorism. Florida's top Republican legislative leaders said Wednesday that they finally reached a deal on a new budget that should clear the way for them to end their session early next week. 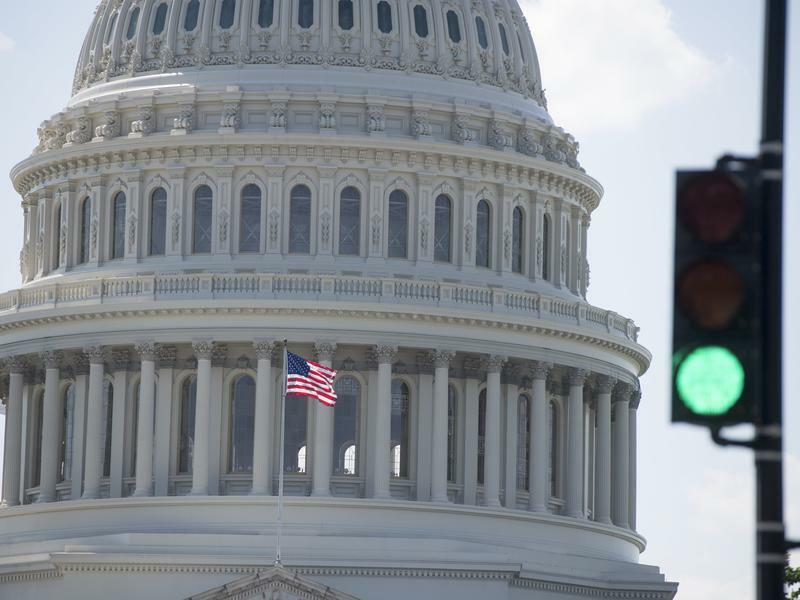 The Senate approved the bipartisan $1.1 trillion spending bill that funnels money to nearly every corner of the federal government and keeps it running through the end of the current fiscal year in September. The House approved the measure on Wednesday, and it now goes to President Trump for his signature. House Speaker Richard Corcoran and Senate President Joe Negron separately told their members Wednesday morning that they had reached a deal on a new $83 billion state budget. “We have reached agreement with the Senate,” Corcoran told House members. Neither Corcoran nor Negron, R-Stuart, have met publicly to discuss unresolved budget differences, many of which were in health care, higher education, K-12 public schools and environmental spending and policy. 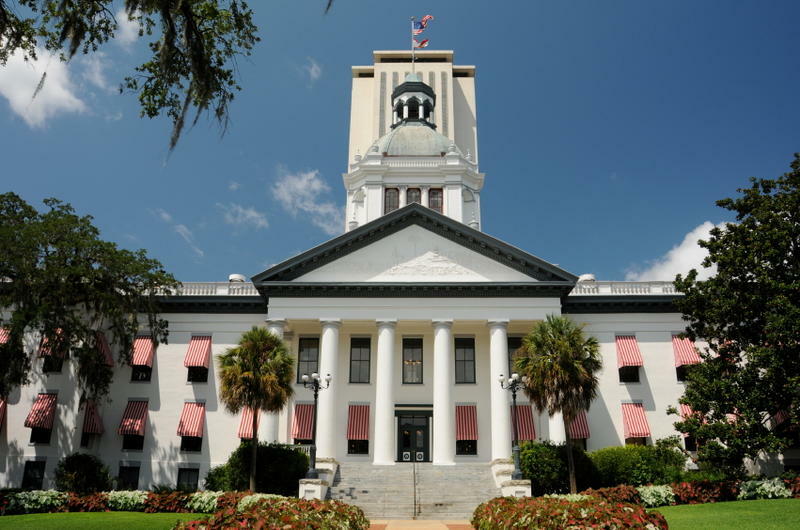 By the time you read this, Florida lawmakers may have a proposed budget agreement. That's how fast multi-billion dollar decisions are made in the final hours of the Florida legislative session. The state budget needs to land by late Tuesday in order for legislators to vote on it by Friday, the scheduled end of the regularly scheduled 2017 session. If there's a spending plan that passes the House and Senate and Gov. Rick Scott agrees to it, there won't be a need for a special session to come up with the budget before the beginning of the next fiscal year in July. The Florida House and Senate budget teams are bumping numerous issues up to the chambers’ presiding officers. The groups bundled a few major priorities for up or down votes ahead of the floor.